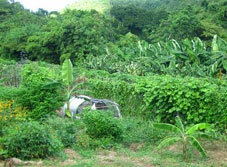 CHANT: Crucian Heritage and Nature Tourism. Nature Tours andActivities, Cultural Art and Crafts, Heritage Performers, HistoricalArchitecture and Tours. 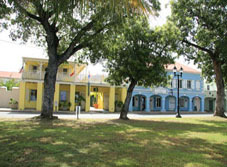 Invisible Heritage: Identity, Memory & Our Town is an ambitious and innovative community revitalization project launched by Crucian Heritage and Nature Tourism (CHANT) to invest in workforce development and historic restoration using creative placemaking as a vehicle for transformation. Filled with living history, magnificent landscapes and a culture which has survived hundreds of years, St. Croix is uniquely placed to promote heritage and nature tourism. 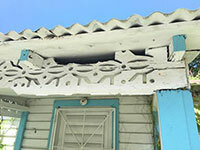 St. Croix possesses a unique range and depth of authentic cultural traditions, historic resources, and beautiful natural attractions. CHANT will link you to our rich traditions, guide you through our historical towns and lead you on hikes through our natural attractions. 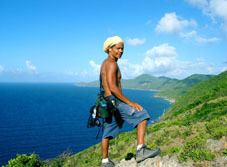 CHANT's providers will show you St. Croix through the eyes of our residents and entertain and educate you along the way. By selecting CHANT as your tour provider, you will be supporting local businesses and contributing to the sustainable development of St. Croix. 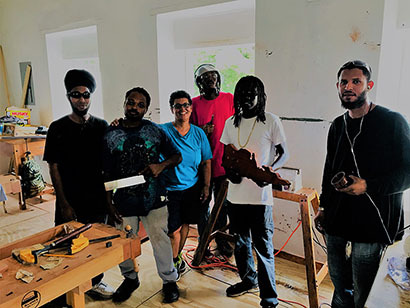 Our young Apprentices are a vital part of CHANT's Invisible Heritage project, whose vision is to engage our local community in rebuilding and occupying derelict structures of the Free Gut neighborhood in the town of Frederiksted (St. Croix, USVI). They continue to build knowledge and aptitude in several areas while training in our job experience program toward careers in the building arts, historic restoration and preservation. 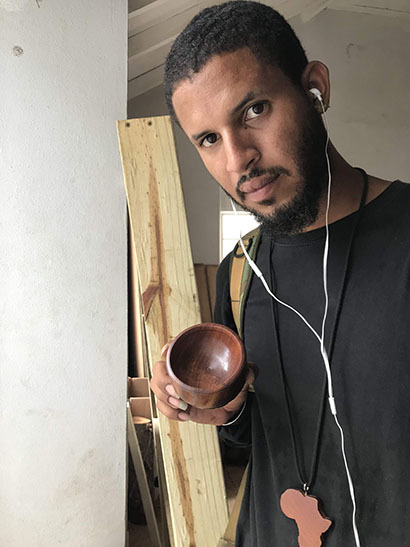 Woodturning on a lathe is another important skill set taught in part by a new CHANT volunteer. Victoria Rivera, a retired physician, frequently travels to Nashville, TN to study this ancient art form. 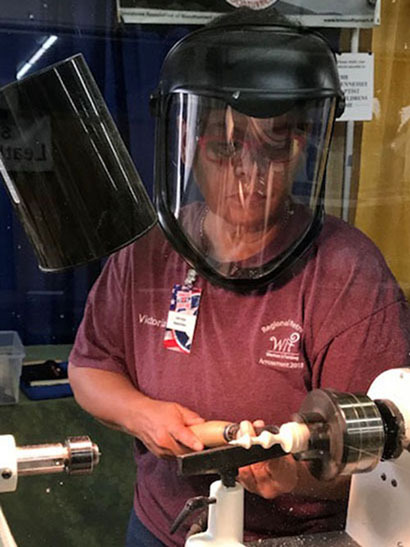 As a Tennessee Woodturners Association 2018 Scholarship recipient, Miss Vicki (as her students call her) dedicated the funds toward Training-The-Trainer sessions with her own mentor, Pat Matranga. 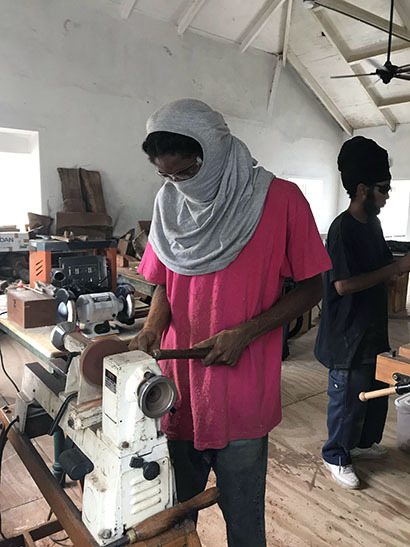 She will return to St. Croix in November 2018 and continue working individually with our apprentices to build their woodturning skills in a safe environment. For more information on the Invisible Heritage project, please click here. Ay Ay Eco Hike & Tours - Hike along the scenic ridge from the month of november to january,... more.